Kawawada Sensei is a product of the golden age of the JKA. A graduate of Takusoku University and the Kenshusei programme, he went on to develop into a formidable competitor, becoming Grand Champion at both the JKA All-Japan and the JKA World Championships. After many years teaching and working at the JKA Headquarters, he now dedicates his time to teaching at Nakayama Sensei’s personal dojo, the famous Hoitsugan. 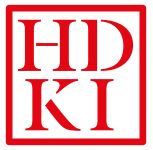 Kawawada Sensei has a generous and humorous teaching style and the HDKI are honoured to host him in Ireland for the first time. Book your place on the Courses & Competitions page.